Last time, on Jscrambler 101 — How to use the CLI, we showed you a simple way to protect your code through our command line interface (CLI). This time, we’re going to talk about one of Jscrambler's most handy features: Source Maps. What Are Jscrambler Source Maps? Jscrambler's code protection is great to prevent someone from reverse-engineering or tampering with your code — but might seem like a burden to development teams when they want to debug their applications. This is especially relevant in cases where a problem can only be reproduced in production by running the original source code. Fortunately, Jscrambler Source Maps provide a way to achieve just that, even with code that has been protected by Jscrambler. Jscrambler Source Maps enable mapping the obfuscated code back to its original source code. As such, development teams will be able to get through the debugging process of obfuscated code as if they were running the original source code. It's worth mentioning that Jscrambler's Source Maps feature is something that's used only for development purposes, and doesn't compromise your application's security. Jscrambler supports Source Maps either via the Web Application or through its API. Using Source Maps from previous compilation steps is also supported. Note that, in all cases, Source Maps are disabled by default. After understanding how Source Maps can be used to benefit your specific case, setting them up is very straightforward. First, you will need to access your Dashboard. From there, click the App for which you wish to enable Source Maps. Now, click the cogwheel on the top right corner, next to Application Settings, and enable "Source Maps", as shown below. After this, all new protections to your code will have the Jscrambler Source Maps feature enabled until you disable it. By using Jscrambler Source Maps via the Web App, the original source code will be embedded in the source map file. 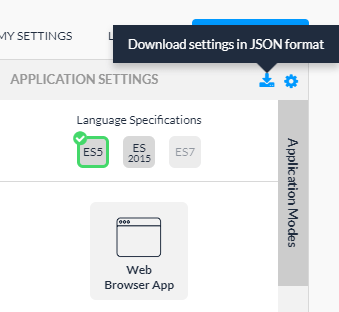 This behavior is specific to the Web App and, if you don't want to include the source code, then refer to the section below about using the API. This will open a screen with the latest protections to your app. Now, click the ID of the protection for which you want to download the source map file. This will open a new screen with details for that specific protection. In this new screen, click on "Download Source Maps". Configuring Jscrambler Source Maps via the API enables customizing if the source code should be embedded in the Source Map file. By default, this is set to true by the property we covered before "sourceMaps": true. Also, disabling Jscrambler's Source Maps feature entirely via the API is as simple as omitting the sourceMaps property, or setting "sourceMaps": false. This will generate an output similar to 59021864dd26ca0011dc94ed, which is our protectionID. This will download the Jscrambler Source Maps to a folder named jscramblerSourceMaps. And that's it! You just unlocked the full benefits of using Jscrambler Source Maps for painless debugging. Always make sure that you don't include the Source Map files by accident in production. This would grant anyone direct access to your original code! Feel free to advance to the next tutorial, where we'll cover Jscrambler Countermeasures and some practical use cases for this feature.